Actvity Summary: The JR goes plushy! 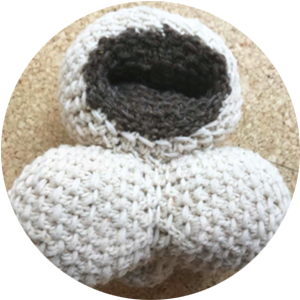 These knitted patterns help to provide students and educators an example of what a microfossil looks like on a tangible scale. Crafting and the arts are incorporated in the STEAM movement as a means to be more inclusive of the ways in which many people learn to appreciate the scientific relationship between structure and function, and beauty in nature. Download the pattern and make your own microfossil!